Pics of the day... Selfie Gone Wrong, Narrow Death Escape. That moment you are supposed to die but God still as a mission for you... so you escaped a narrow death. Lolz. 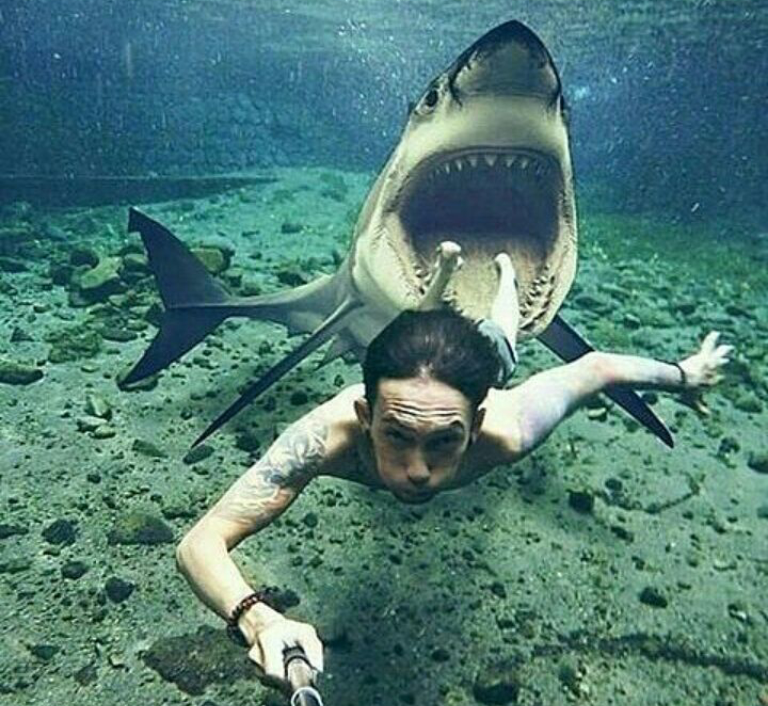 Selfie Gone Wrong... his legs could have been Amputated by now if that shark made it... lwkmd.